Outsourcing can provide immediate cost savings and help create a simpler and more flexible business model. 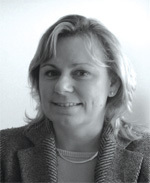 Carina Smith, Capgemini, explains to FDE how forward-thinking forestry and paper companies are reaping the benefits. Few industries are finding reasons to be cheerful during the current economic climate. However, with pulp producers in the northern hemisphere having reported average returns on capital investment of just 7% in recent years for the forestry and paper industry, this downturn represents the latest challenge in what are already turbulent times. Economic factors, such as a fall in commodity prices driven by oversupply of raw materials and rising energy and transport costs, coupled with cultural factors such as changing reading habits and diminishing demand for newsprint, have resulted in declining margins. Industry analysts and leaders agree that the key to sustainable performance improvement and future success lies in the creation of simpler and more flexible business models. Outsourcing backoffice processes represents a solution that delivers tangible financial benefit quickly and lays the foundation for this road to business model simplification. International Paper enlisted the support of Capgemini to improve productivity and processes across 32 legal entities in 12 countries. Processes have been consolidated at Capgemini’s delivery centre in Krakow, where in addition to cost savings International Paper benefits from a continuous improvement programme and enhanced process quality. Likewise, Tetra Pak, in seeking to place greater emphasis on its core competencies, outsourced its finance and accounting processes from up to 60 countries to Capgemini’s BPO centres in Poland and China as part of a seven-year outsourcing deal signed in 2006. Outsourcing back-office processes need not be sophisticated or dependent on re-engineering to deliver significant benefits. Outsourcing non-core processes ‘as is’ to offshore or near-shore locations can yield immediate reductions in baseline labour costs of 30-50%. Increased benefits are possible in the medium term with tactical process improvements. Many industries are susceptible to economic cycles. For companies operating in these industries flexibility and a scalable business model are vital components to success – and survival. Companies with best-practice back-office services handled by an experienced third-party provider like Capgemini will be better positioned to pursue strategic moves – whether it be as an acquirer or as an organisation being acquired. Back-office functions continue without disruption, thereby freeing management to focus on core business and ensure that the benefits of any such merger or acquisition activity are realised as quickly as possible.